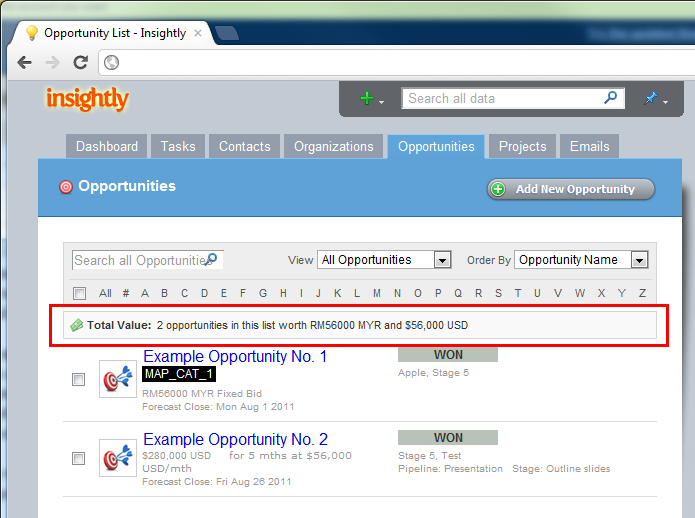 New to Insightly this week is the ability to see and track the number of opportunities you have open at any time, and their total worth. We've added a small info bar to the top of the opportunity list that calculates the number and total worth of all the opportunities in the list, and displays them by currency. The totals in the bar change dynamically depending upon which opportunities are in the list, so it works great with our custom filters, or the built in ones. 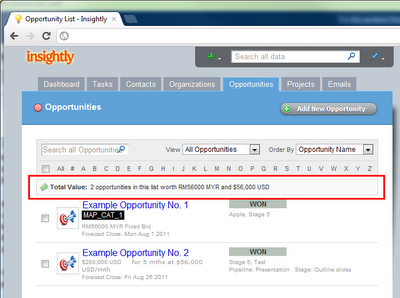 You can quickly see at a glance how many open opportunities you have, and how much they're worth. Or create a custom filter to see how many opportunities you have with a close date in the next 30 days, and the total worth of those opportunities. 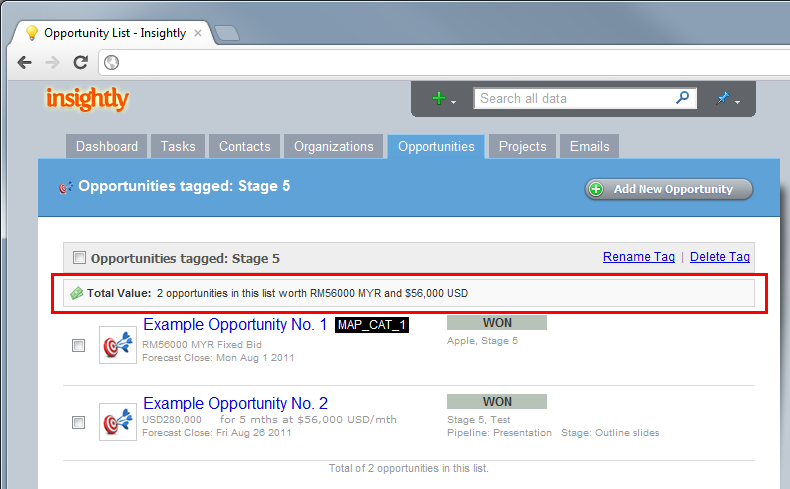 You might also track the total outstanding value of all open opportunities for a specific user. 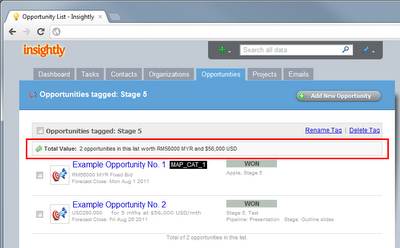 You can also click on a tag in the sidebar to see the total number and value of opportunities with a specific tag. It's a small change but a big improvement to the opportunities list and we hope you like it.